From giant, billion-dollar conglomerates of integrated network sites to small, niche personal lists, social-networking sites are taking the Internet by storm. Social networks are becoming more and more popular, especially among younger folks. But professionals and entrepreneurs use them too. Let’s start by defining the term and how you might be able to use the sites in marketing a camp. Social network sites, like MySpace and FaceBook, are online global ”communities,” where people get to know each other better and share ideas and creativity. And it’s not just for kids either. LinkdIn is a networking site for adult professionals looking to build their network of contacts. And there are dozens of smaller, more-focused niche communities around the Web that are designed for people with similar goals and interests. There are investment sites, political sites and sites related to specific sports teams. They all have one thing in common--getting like-minded people together. MySpace--by far the largest of the sites--was originally established to give small, independent musicians a place to share music for free. It is a great way for bands and songwriters to get their sounds into the world and connect with other musicians and producers. They are free to join. Once you join, you can create your own member page. You can invite others to become ”friends” within the network. Now, many different layers of activity exist within these sites. There are thousands of smaller intra-networks of people who may have the same things in common--like fans of the same band, owners of Siamese cats or high school kids from the same state. What Does This Have To Do With My Camp? When marketing anything--even a summer camp--the secret is in messaging. And, as I’ve said in these pages dozens of times before, messaging is not just what you say, but to whom you say it. Yes, the traditional brochure and the camp video are still important parts of the mix, but getting to the kids where they live--online--is crucial to getting your message in front of them. Start a MySpace page, and invite all current and former campers to join. This is a great, FREE way to stay in touch with current campers during the off-season, and to keep an eye on alums who may be thinking of sending their own kids to camp. Once you set up a page, send an e-mail blast out to everyone who has come to camp in past summers, and you have an instant network. Once you’ve set up a social site, post video clips and audio casts of activities happening in the camp--a great way to keep the summer energy going--and to build excitement for the coming season. Start a chat room or forum on one of the sites, and invite campers and counselors to use it. Forums are a great way for people to interact, on their own schedule. These are just a few ideas. The options are practically endless. Well, for one, it’s free. Another reason is that’s where the kids are hanging out. MySpace has well over 246 million members, and it’s growing every day. FaceBook boasts 124 million kids online--and it’s geared toward those over 13 years of age. Wikipedia--the online compendium for just about everything--has a comprehensive list of almost all of the networking sites online, including the number of members, the target audience and registration requirements. You can find this list at www.en.wikipedia.org/wiki/List_of_social_networking_websites. Or just type ”social networking sites” into your favorite search engine, like Google or Yahoo, and see what comes up. 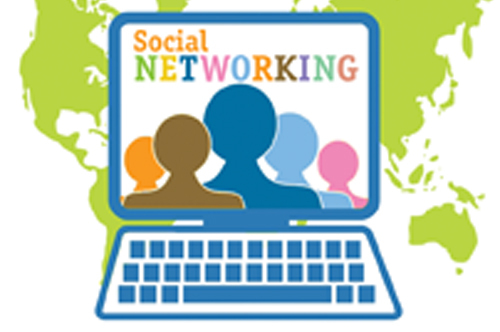 Social networks are a great way to help bridge the marketing gap and talk directly to your target audience, the kids. You can reach potentially millions of kids and build a strong, loyal group of individual campers. You also can post interesting tidbits of information and videos about your camp, and do it all for free. So, pop online now and discover it for yourself. It could be eye-opening, to say the least. Tim Diering is Vice-President of Marketing for Summer Camp Design, a full-service marketing and graphic-design company dedicated to meeting the advertising and marketing needs of summer camps. You can find out more about SCD by visiting www.summercampdesign.com. Tim can be contacted via e-mail at tim@summercampdesign.com or call (800) 957-7175.